* Two nights at The American Club or Inn on Woodlake. * Three, 18-hole rounds of golf per person. One round per person on The Straits at Whistling Straits, one round on The River at Blackwolf Run, and one round on your choice of The Irish at Whistling Straits or The Meadow Valleys at Blackwolf Run. 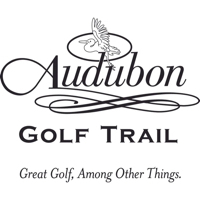 * Golf car fees on The River and The Meadow Valleys at Blackwolf Run. * Caddie fees on The Straits and The Irish at Whistling Straits (does not include caddie gratuity). * 1/2 hour golf lesson with Kohler Golf Academy instructor. All lessons include video analysis with the state-of-the-art JC Video system. Advance reservations required. 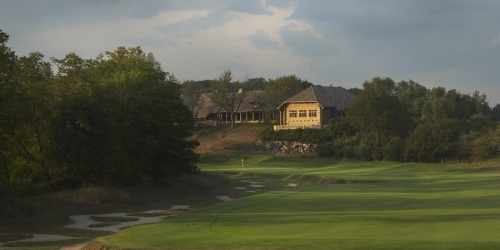 Please book lesson at time of booking the Golf Kohler package. * Complimentary green fees for replay golf, based on same-day availability on The Meadow Valleys at Blackwolf Run and The Irish at Whistling Straits. Replay rounds may not be booked in advance. Please check with the golf shop after your first round of the day for additional same day availability. Golf car, caddie fees and gratuities not included. * Unlimited use of practice facilities. * Daily bag storage, cleaning, locker and shoe service. * Your choice of Kohler Waters Spa services discounted 20%, excluding seasonal treatments. Saturday service pricing applies. Use of the Spa includes relaxation pool with waterfall, steam, sauna, whirlpool, cool plunge and glass enclosed rooftop deck. Discounts not valid with other offers. Advance reservations required. Spa usage fees may apply. When calling 888-416-4685, please mention you saw this golf package on GolfTrips.com. Blackwolf Run - The River reserves the right to change price and offer at anytime. Prices and offer are subject to change without notice. GolfTrips.com is not responsible for errors posted in this golf package.